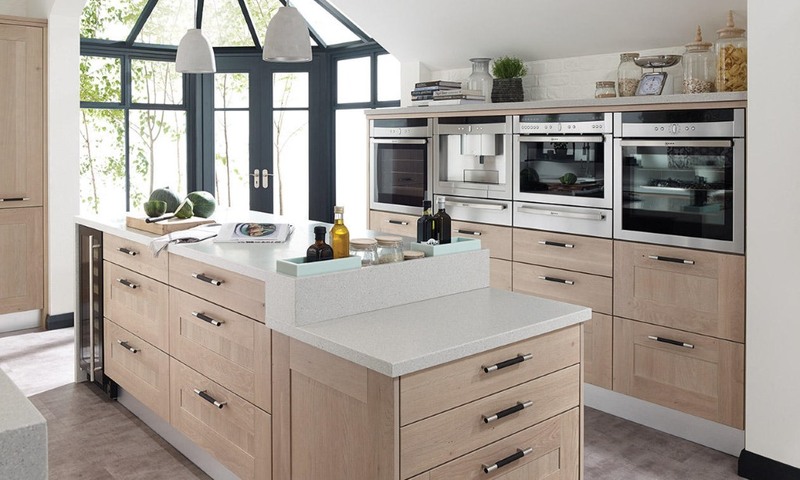 Using the traditional shaker design the Broadoak gives you many options. 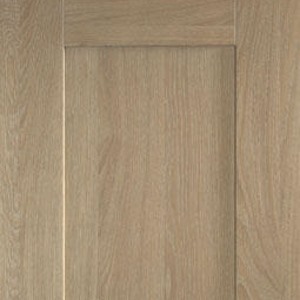 Displayed here in natural oak, rye and sanded the combinations are enhanced with the choice of 32 painted colours. Click to see the Broadoak painted options. 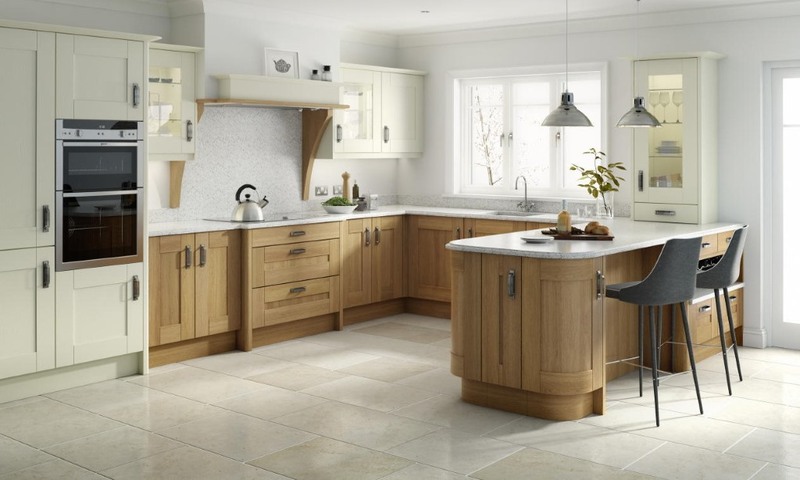 The Broadoak natural oak finish can be combined with other painted colours such as the alabaster shown here. 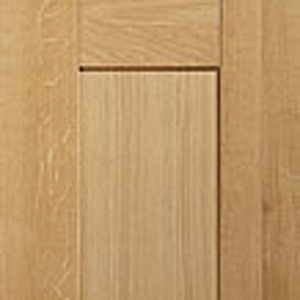 The natural oak finish enables you to use accent walls in both light and darker colours. 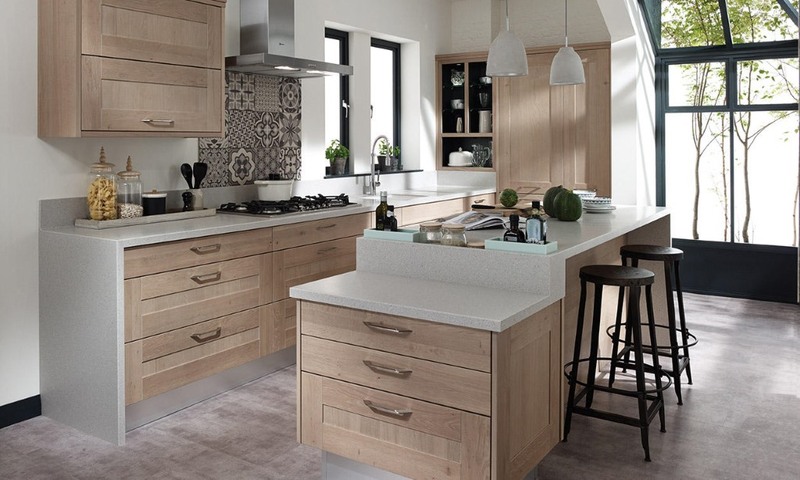 Utilising the stunning Broadoak shaker design this rye option gives you a light washed timber effect. 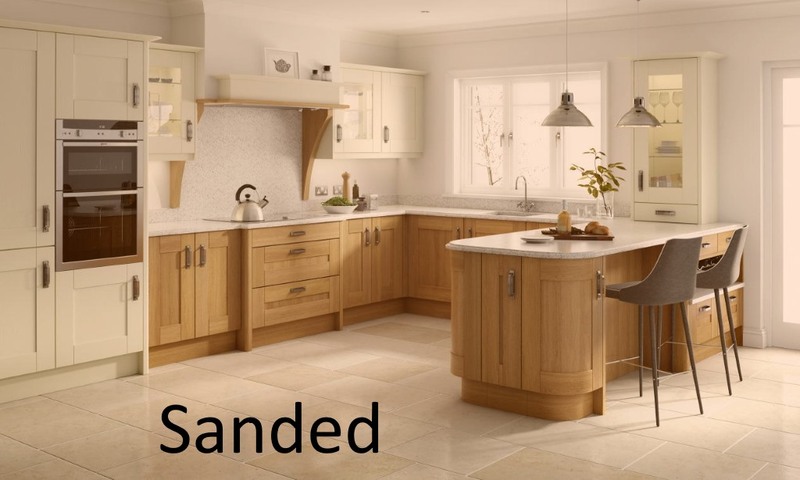 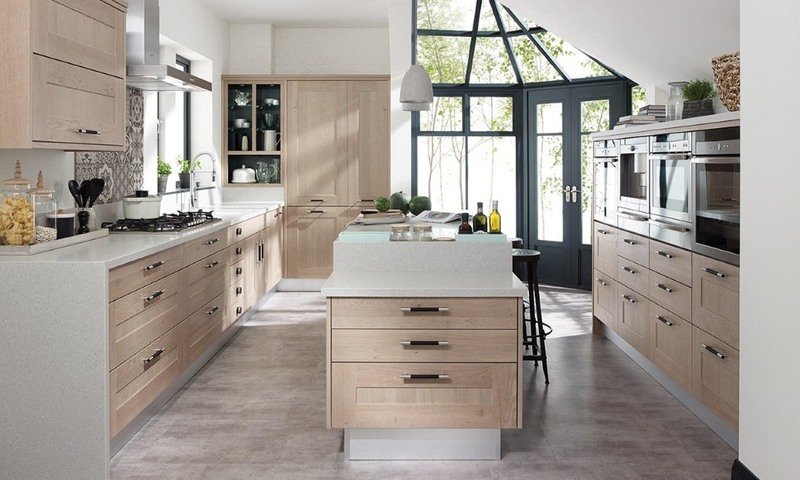 The ever popular Broadoak shaker kitchen with this option is supplied sanded.